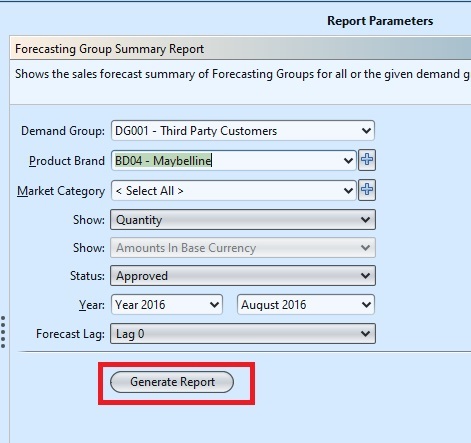 Demand Group Summary Shows the sales forecast summary of the demand group for all given forecasting group during the selected period. 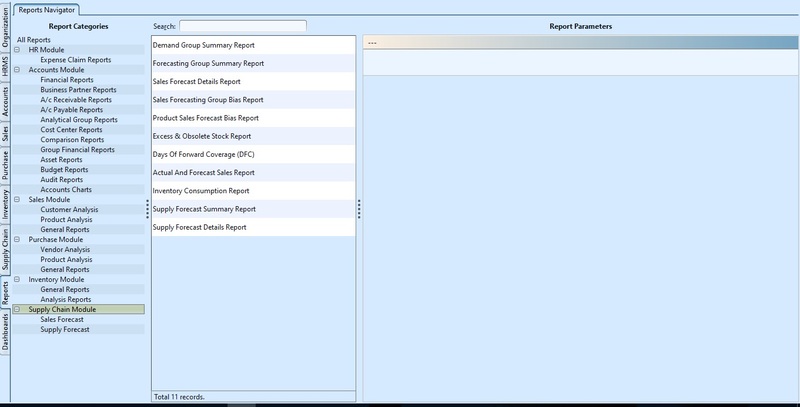 Forecasting Group Summary Report Shows the sales forecast summary of the Inventory Group for all or given demand group and during the selected period. Days of Forward Coverage (DFC) Shows the inventory days of coverage based on sales forecast per product. 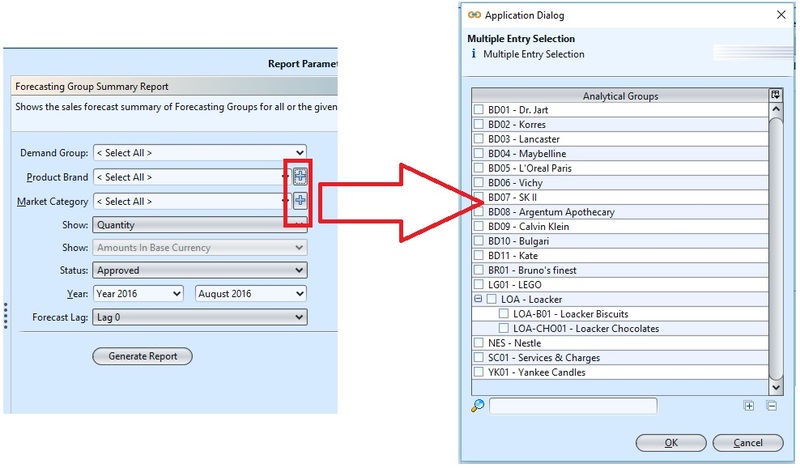 Supply Forecast Details Report Shows the supply details per product.